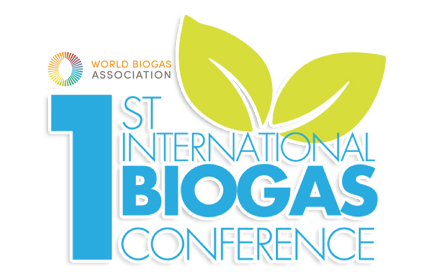 The World Biogas Association’s (WBA’s) 1st International Biogas Conference will convene in Athens, Greece on the 3rd and 4th May 2019. The conference will examine and demonstrate the role of biogas in solving sustainability challenges for Greece and for cities, regions and nations around the world. Delegates and speakers will share knowledge and case studies, create synergies and partnerships, discover new markets and promote best practice. The event will bring together multidisciplinary viewpoints from companies, associations, governments, research bodies, academia and media to help biogas fulfil its full potential. The conference will be opened by Dr Janez Potočnik, Co-Chair of the United Nations Environment Programme’s International Resource Panel. Dr Potočnik was previously European Commissioner for the Environment, where he played a central role in launching and pioneering the implementation of the circular economy and other sustainability policies. The biogas industry is evolving worldwide, but it requires policy implementation and financial support for it to thrive and mature. City, regional and national governments are in the process of establishing their climate change and sustainable development strategies. We have therefore reached a crucial moment to ensure biogas technologies get recognized as a major solution for sustainable development: I’m calling on you to join us at this conference to support our efforts in doing so. The conference will focus on four thematic sections featuring acclaimed speakers from around the world. Although the focus of the conference will be the development of the biogas industry, speakers will also address wider issues related to waste management, research and innovation, and operational issues relating to biogas technologies. WBA is the world trade association for biogas and anaerobic digestion (AD) and is dedicated to facilitating the adoption of biogas worldwide. It aims to support the rollout of global biogas technologies for the production of clean and renewable energy sources and to meet other global challenges such as clean air, healthy soils, and food and energy security.